The Gas Trolley Barbecue from Landmann is very competitively priced and includes features often only found on more expensive gas barbecues such as an adjustable steel burner, two stage gas control, chrome plated cooking grill, flame tamer, two side shelves and metal bottom table, piezo ignition and roasting hood with window. 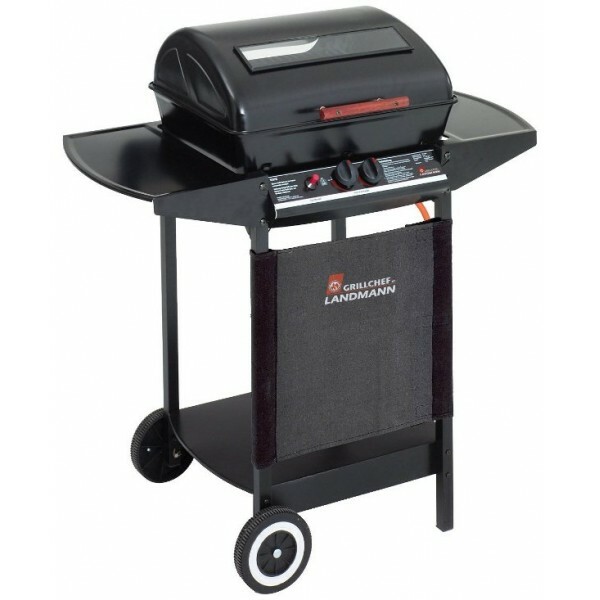 The barbecue trolley is fitted with wheels for easily movement around the garden. Supplied with BS hose and regulator.